After riding high in late 2017, Bitcoin has endured a dreadful 2018. The BTC price has tumbled more than 60 percent since the start of the year. However, in recent times, the top-ranked cryptocurrency appears to be in the midst of a mini-resurgence. BTC bulls will be hoping that the price rally has enough steam to careen past the $8,000 milestone. A succession of negative regulatory measures from different countries around the world sparked fear among retail traders. The result was a massive BTC selloff that saw the price tumble from the mid $17,000 mark in January to below $6,000 in the first week of February. However, even during that first 2018 low, it was apparent that a double bottom formation was emerging, with $5,900 as the probable low. After that dip, BTC price behaved chaotically with wild price swings. 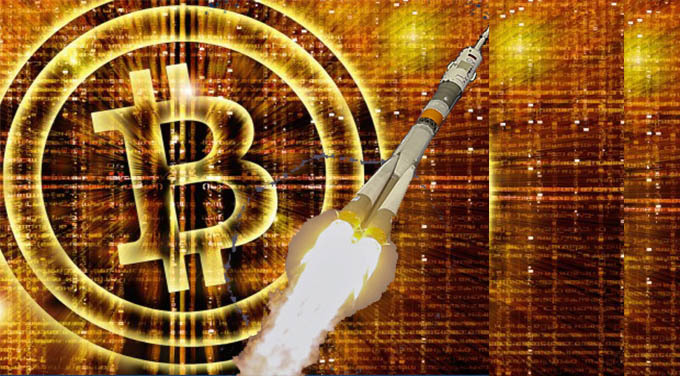 Many analysts declared that Bitcoin needed to test $5,000 to spark a serious bull run. Fast forward four months later to June and BTC experienced another critical dip. In mid-June 2018, the top-ranked cryptocurrency lost $1,000 in a matter of hours. Two high-profile cryptocurrency exchange hacks and fears of price manipulation, as well as a technical correction, saw prices decline dangerously close to the February 2018 low. By late June, the bulls seemingly lost the battle as BTC slipped below $5,900 to test a new low at $5,700. However, while the market appeared bearish, a somewhat bullish Inverted Head and Shoulders pattern was being formed as seen in the image below. Since the start of the second half of the year, a raft of positive news has emerged from the likes of Steven Cohen, BlackRock and several other stakeholders in mainstream finance. 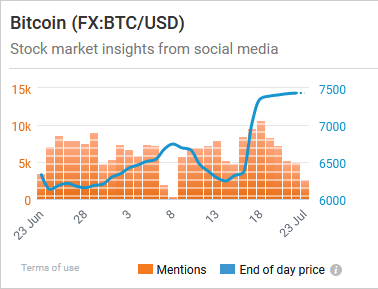 These new investors seem to have introduced positive sentiment in the Bitcoin market. Added to positive sentiment is the fact that the bears seem to have run out of gas as Digital Currency Group CEO, Barry Silbert, said recently. At the time of writing this article, BTC has managed to break three different resistance levels in a single day trade without any massive increase in buy orders. Bitcoin seems to be on the up and the next few days and weeks will reveal the zenith of this price rally. Do you agree that the sentiment in the Bitcoin market has turned positive? Keep the conversation going in the comment section below. Image courtesy of Business Times and Coinmarketcap.